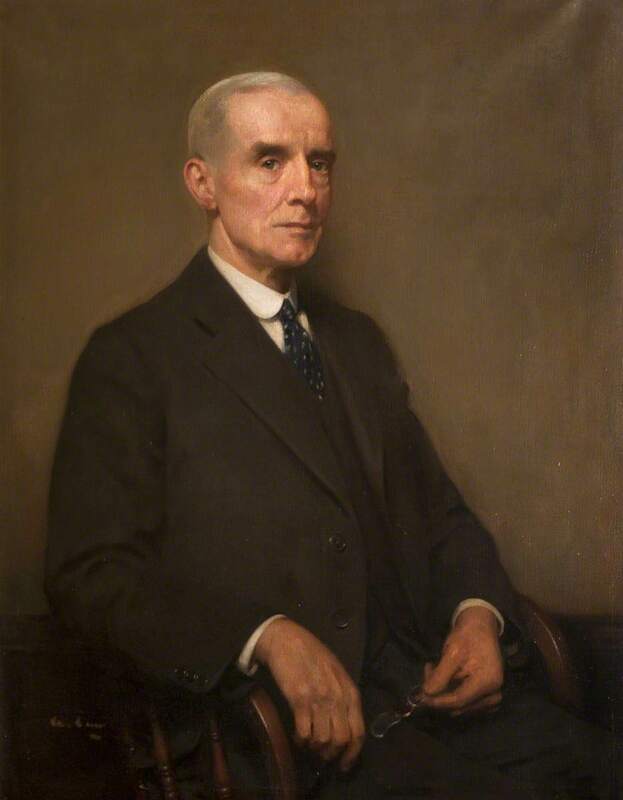 Roy Frew Young (1879–1948), President of the Royal Faculty of Physicians and Surgeons of Glasgow (1940–1942). Seated half-length in a grey suit. Roy Frew Young was educated at Glasgow Academy and graduated in arts and medicine at Cambridge. He held a number of surgical posts in hospitals throughout the west of Scotland, including an early resident post under Sir George Beatson at the Western Infirmary. He served in France with the RAMC during the First World War and was awarded the Military Cross. Young served on the Council of the Royal Faculty of Physicians and Surgeons for eleven years and was President from 1940-1942. This portrait was commissioned by Young's house surgeons and assistants. 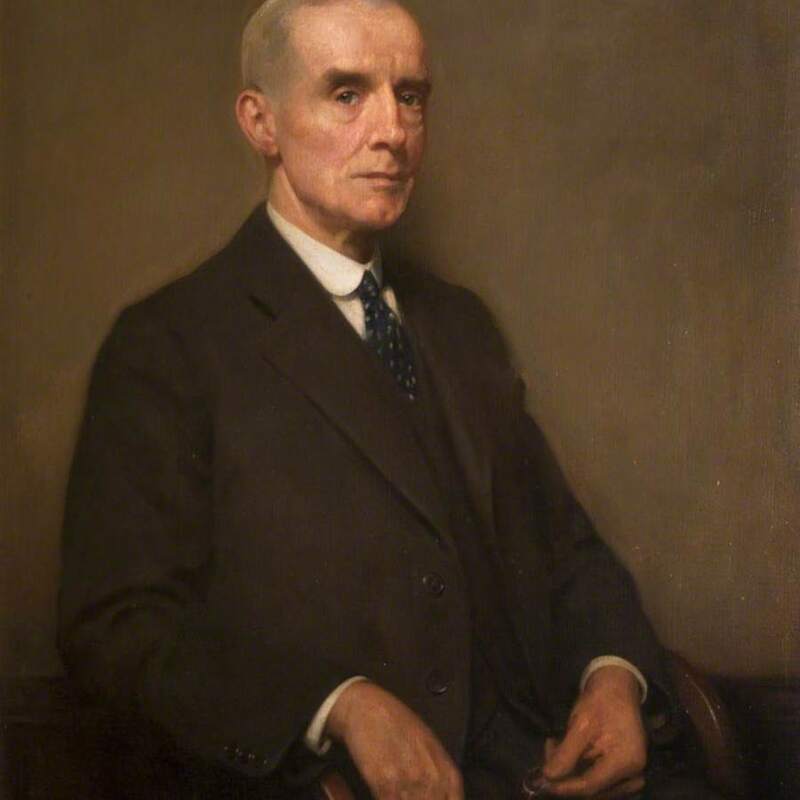 Law, Andrew (British painter, 1873-1967), “Portrait of Roy Frew Young (1879-1948),” Heritage, accessed April 22, 2019, https://heritage.rcpsg.ac.uk/items/show/501. Description: Roy Frew Young (1879–1948), President of the Royal Faculty of Physicians and Surgeons of Glasgow (1940–1942). Seated half-length in a grey suit.